Recently the lovely people from Perfume Click contacted me and asked if I would love to review their service so of course I said yes. Perfume Click is a leading online retailer stocking a number of leading perfume brands, which are obviously 100% genuine, what us great is all items are at a discount price. 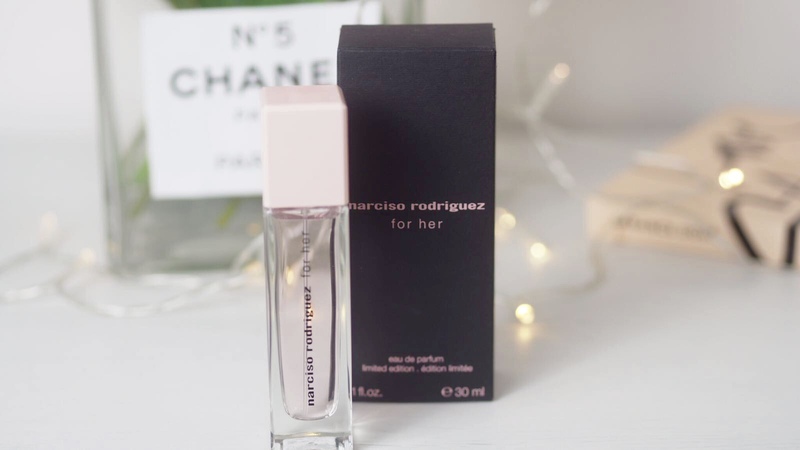 "Narciso Rodriguez Eau de Parfum is seductive fragrance for women, which contains sensual musk, orange, amber, osmanthus, vanilla, vetiver and amber. " What I love about this perfume, is its very soft and not overpowering but at the same time it lasts all day making it perfect for day to day wear. I love the plain, simple packaging of this product, I'm loving pink at the moment! You can find Perfume Click here. 9 comments on "Narciso Rodriguez Perfume featuring Perfume Click "
This sounds lovely! I'm loving the sleek packaging too. I've heard a lot about Perfume Click recently, it sounds like a really good service! I love a good vanilla scent. The packaging is so cute as well, am loving the pink design! Oohhh I've never heard of perfume click! This perfume sounds perfect for me, I'm a big fan of subtle perfumes. ​The perfect blend of opening notes of Narciso Rodriguez for Women "White Gardenia and Rose" make this a really great fragrance. It reminds me of Viktor & Rolf Flowerbomb Extreme and as a fan of Viktor & Rolf Perfumes, I will definitely buy this perfume on next purchase. Thanks for sharing this post.